This gorgeous colonial with craftsman-like charm is full of top notch finishes that will not disappoint! 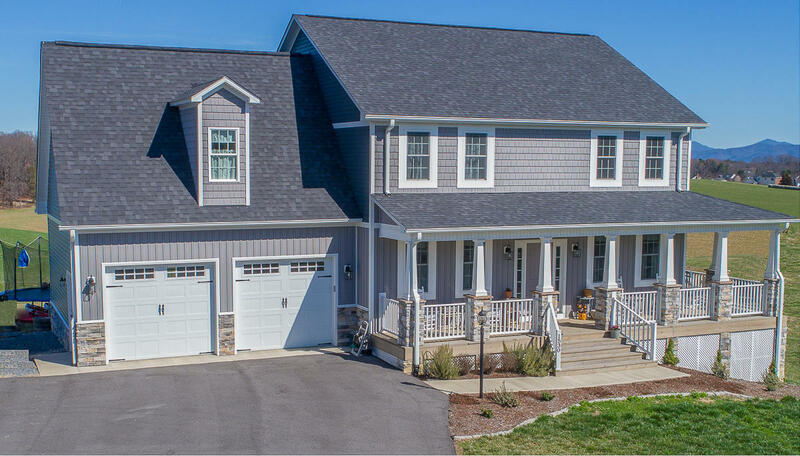 Covered in stone and vinyl with a large welcoming, wrap around front porch and breathtaking views of the Peaks of Otter, Blue Ridge Parkway and West Virginia off the back deck or screened in patio. Featuring an open floor plan with large kitchen and living area with a stacked stone fireplace. Kitchen boasts upgraded quartz countertops, faucet and appliances. Hardwoods throughout, no carpet! Entry powder room room with upgraded pedestal sink and faucet. Master suite having 2 WIC, stunning crown molding and featuring a deluxe bath, with oversized, all tile shower for two, and granite counter tops. Granite in hall bath and ceiling fans in every BR.